I know. -ix words aren’t necessarily used in kindergarten, but I couldn’t help myself. 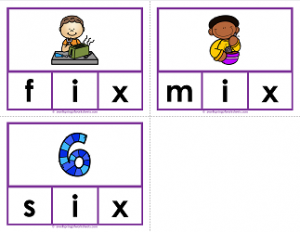 There’s three -ix words just because: fix, mix and six.